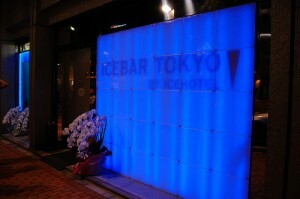 ﻿ICEBAR TOKYO in Ginza is a bar where it is perfect to hang out in the hot summer night. 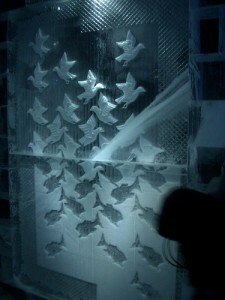 It is a bar made of crystal clear ice brought from arctic river! 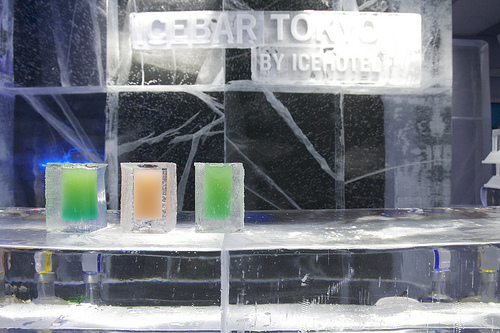 The walls, counter, tables, chairs, glasses… everything is ice! It looks freeeeszing! 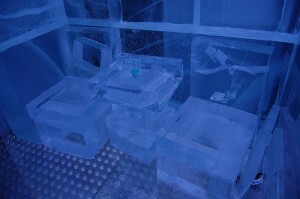 😯 The temperature inside the bar is minus five degrees centigrade. 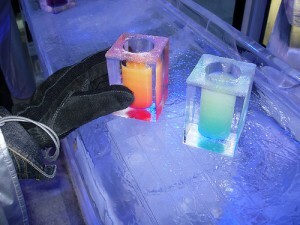 The bar provides a cape and a pair of gloves for each guest. But they don’t lend boots, so the guests should bring socks or something warms their feet, or they’ll catch cold. The bar opens everyday 16:30 to 23:15. 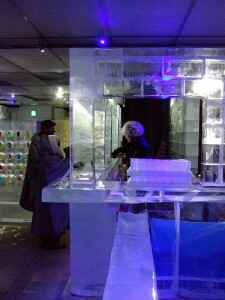 They charge entrance fee (3,500 yen) which includes the cape and gloves, ice glass and one drink. 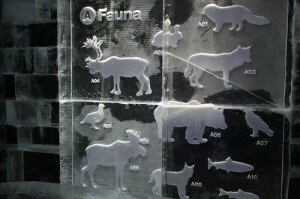 Unfortunately, ICEBAR will close on September 30, 2011 due to the need to conserve electricity.